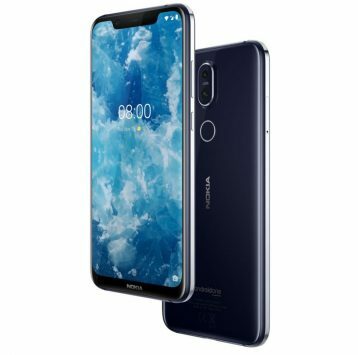 HMD global has launched another mid-ranged smartphone in India, The Nokia 8.1 Plus which is a sucessor to the most popular Nokia 7 Plus. The device packs a 6.18-inch full HD+ display with 18.7:9 aspect ratio, along with Nokia’s Pure Display technology which enables it to keep the colors crisp and accurate even in bright sunlight. In terms of optics it has a 12MP + 13 MP dual camera combo with the 12MP unit having a f/1.8 aperture and a Sony IMX 363 sensor while on the front is a 20MP camera with f/2.0 aperture. To power the Nokia 8.1 there’s a Qualcomm Snapdragon 710 processor coupled with 4GB of RAM and comes out of the box running the latest Android 9.0 Pie. It also has 64GB of internal storage that is expandable with a microSD card. The battery has a capacity of 3500mAh and supports fast charging. The Nokia 8.1 will be available in Blue/Silver and Iron/Steel color variants and is priced at INR 26,999 and will be available for pre-order from Nokia official store, Amazon as well as offline stores.